We see it all the time with celebrities – branding that looks like a cute nickname, when it’s really a whole lot more than that. The Barefoot Contessa from the Food Network is a good example of branding. You instantly get the image of a beautiful Italian woman leisurely cooking a delicious homemade meal in the comfort of her own home. 30-Minute Meals is a brand that isn’t instantly connected to a person’s name, but immediately, you grasp the concept – simple and easy. This would appeal to very busy people. Paula Deen used to be “The Lady and Sons” when she was starting out and had her sons as part of her main business. She became so popular that her name overshadowed her starting business brand. You have a couple of options here. You can brand your business as a whole, or you can brand each site and endeavor individually. There are pros and cons to each. It’d be nice to be the go to person for an umbrella niche – one that housed all of your efforts in one namesake. But if you’re varying your business a little, it might be hard. For example, a site that’s on dog training and promotes tangible items on Amazon won’t fit well with your Wedding Planning eBook. It’s okay to have multiple brands. You might be the “Dog Training Aid Advisor” or the “Wedding Wonder Woman” – but you can brand each site on its own. Some entrepreneurs (especially those new to online marketing) get very anxious about being an expert – or I should say, not being an expert. You don’t have to worry so much about your authority and expertise. You’re going to tout it without having to be perfect. There’s no PhD required. No college education required. Now this might be more difficult to achieve in certain niches. For instance, if you start trying to dispense serious medical advice on your website, you might have some trouble with people wanting to verify your credentials. But what expertise would you need to have with the weigh loss niche, for example? You could enter into this niche without ever having had a weight problem. Teach good, solid advice that’s not going to endanger anyone and you’ll be fine. Or, if you were once overweight and now have used certain methods to slim down, share those with others and your own journey makes you an expert of sorts. Don’t try deceiving your customers. This isn’t worth it – and with the FTC cracking down on scams, you don’t want to get caught having made false claims that could get you into trouble. These sites all have certain restrictions for their terms of service, so you want to read those carefully. They may limit the number of links you can post, or keep tabs on which topics you write about. Some have special branding tools available to you. For example, you can create a FaceBook fan page for your business. This is perfectly within their rules. Google Plus has said that everyone must use their real names, but they understand the importance of branding, too. So while the site is still in its infancy, they’re working to create branding pages for those who want to market. This is good because it keeps the marketing separate from the friendly interaction among users. Twitter is less strict about this type of communication, but they don’t allow abuse of their network, either. On all of these sites, make sure that you brand your messages – with image and text recognition wherever possible. We’ll get into that a bit more in just a minute. Whatever you do, complete your profile on the sites. An incomplete profile can hurt your branding abilities. One thing that’s smart for you to do is implement a FriendFeed profile that pulls all of your social media into one clean platform. So those who follow you can get all of your information in one spot, rather than visit each web 2.0 site separately. Avatars are the thumbnail images that are using in profiles on the web. If you comment on someone’s blog, for example, then you may see your “gravatar” show up next to your comment. Site graphics like a header, foot, and background can help brand your business online. You can order ordinary templates that brand your niche to some degree, but they won’t be customized to help you build a specific brand name. Video can even carry your brand image in it. You can create or order an introduction and ending to insert into your videos. It could be a combination of music with your logo and a tag line to introduce your video content. Don’t try to use images that you create yourself if they appear unprofessional. This is a business, so you want your brand to shine through – even on a thumbnail! If you prefer to have designers come to you, then consider placing a project on a site like Elance.com where people can bid on your project and you can browse portfolios. If you’re using your own picture as an avatar or other image, consider what type of image you want to project. You may even want to get a professional to photograph you. Branding also comes in the form of the content that you post online. You should always be thinking about what you want your brand to project. Unless your intention is controversy, try to watch what you say under your brand’s profiles. Keep track of any and all publicity that your brand receives and toot your own horn about it. If someone on another blog writes something positive about you, then talk about it and link to their blog so they can see the kudos for themselves. Make sure you have an easy contact format for people to get ahold of you to discuss your brand. This could result in interviews on many formats – radio, TV, and other online sites. Complete your “About” page on your site. Some people neglect this or simply give a short paragraph on what the company is, but a good About page goes into detail about the brand and what its goals are. 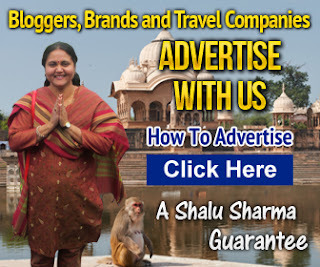 · Offer to guest blog on other people’s sites. · Put out a newsletter that has tips, emphasizing your expertise. · Get yourself published via CreateSpace and Kindle. Personal branding for your name or a business entity can help further your online profits – much more than if you leave it to fate to make your site the one a consumer happens to buy from.